Here are the pretty things I am reading and looking at recently. Victorian Recycling. The theme for the Steampunk Chat on Twitter at 9pm EST tonight is Sustainable Steampunk! Victorian earrings, made out of real hummingbirds. This octopus table is effin’ awesome! I’m going to send people over here from my blog. 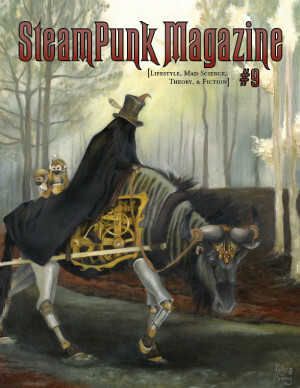 I was unaware of the “steampunk” genre until today. I feel enlightened! its not an Octopus, but it looks like an old sky scraper! sheer awesome.